The online registration of options for admission to the BTech Programmes, 5 Yr Integrated MSc Photonics and B Tech Lateral Entry Programmes began yesterday evening just after 5pm.This time online support for option registration has been entrusted to the National Informatics Centre ( NIC ). There is also a slight hike in fees this year. The tuition fee of BTech free seats has been enhanced from Rs. 20,000 to 25,000 and that of payment seats from Rs.40,000 to Rs.50,000. All the candidates who attempt to register their options through this online system may go through the following instructions before trying to do so. 1. Candidates should read carefully the instructions given below and should take print out of the same before they proceed to submit Online Option Registration. They are also requested to read thoroughly the relevant topics of the prospectus for Academic Admissions 2010, which can be downloaded from the web site www.cusat.nic.in in pdf format. 3. Candidates having a valid rank in the CAT 2010 are eligible for registering their options online. 4. 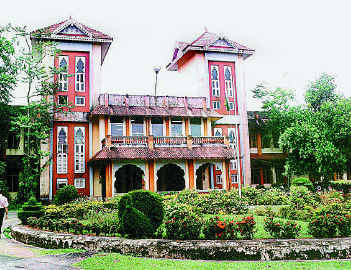 Candidates having “Kerallite” status only are eligible for free seats (ie concessional rate of fees) in the School of Engineering (Thrikkakkara campus), Kunjali Marakkar School of Marine Engineering (Thrikkakkara campus) and in Cochin University College of Engineering Kuttanadu (Pulincunnoo campus). Others are not eligible for free seats. = He/She has undergone his/her school studies from standards VIII to XII in educational institutions(s) in Kerala. = Children of All India Service (AIS) officers (Non Keralites) allotted to Kerala circle are deemed to be “Keralites’ (GO (Rt) No. 822/H.Edn dated 29/05/2008). But they will not be eligible for Communal/Special Reservations. = Candidates claiming the Keralite status should invariably produce at the time of interview / admission, any one of the following certificates. =True copy of birth certificate of candidate or his / her, father / mother showing the place of birth in Kerala with corroborative evidence showing the relationship between the candidate and father / mother of whose birth certificate is being produced For claiming Keralite-AIS (All India Service), certificate from competent authority should be attached. = Candidates can register, change or edit their Options till the last date of online option registration, i.e. till 5.00 pm on 2-6-2010. However, the online options stored in the University database as on the date and time of closing of online option registration shall be final and no further changes will be entertained after this. The options stored in the University database only will be considered for further processing. based on the options submitted by candidates allotment will be made at the time of counselling/admission. = As soon as a candidate gets allotment against a particular option, all his lower options will be automatically cancelled. However, he/she shall be eligible for automatic updation to his/her higher options unless he/ she cancels all his/her higher options in full in writing. = Once allotted to a particular branch, the candidate should confirm his/her admission in that branch by submitting all the required documents in original and by remitting the required fees on the same day, failing which his/her allotment will be cancelled without any intimation. = Cancellation of Higher options: Candidates who are satisfied themselves with their status of being admitted in a particular branch shall have the liberty to cancel all their higher options in full. Partial cancellation of options is not permitted. = Cancellation of admission, for whatever reasons, will result in forfeiture of all options exercised, if any, by the candidate. For all Under Graduate Programmes the minimum eligibility for SEBC candidates (belonging to Kerala State) for admission to B. Tech is 45% for Mathematics and 45% for Mathematics, Physics and Chemistry put together in the qualifying examination. oncession in tuition fees will be granted to Physically Handicapped candidates admitted against the seats reserved for Physically Handicapped and whose parent’s annual income does not exceed Rs. 1.50 lakhs. “SC/ST candidates are eligible for admission, if they have pass marks in the qualifying examination except for Marine Engineering” B Tech Marine Engineering Pass in the Plus Two Examination of the State of Kerala or any other examinations accepted as equivalent thereto with Mathematics, Physics, Chemistry and English as separate subjects with a PCM average of not less than 60% marks and minimum 50% for Mathematics. Should have passed English at 10th or 12th Standards with 50% marks. Applicable for SC/ST candidates also. Should have passed Plus Two (10+2) examination conducted in Kerala or the examination of any other University/ Board accepted by the Syndicate of the University as equivalent thereto in First Class with Mathematics, Physics and Chemistry as subjects of study. The candidate shall have secured a minimum of 50% marks in Mathematics as well as for Mathematics, Physics and Chemistry put together. The candidates shall have passed the plus two (12th) examination of any state/national board with Mathematics, Physics and Chemistry or any other examination accepted as equivalent by the Cochin University of Science and Technology. The candidate shall have secured a minimum of 60% marks in Mathematics, Physics and Chemistry put together with at least 55% in Mathematics separately. The minimum eligibility for SEBC (belonging to Kerala State) is 55% for Mathematics, Physics and Chemistry put together with at least 50% for Mathematics. 1) Take a print out of this instruction manual and read it carefully. 2) Candidates should login using their Register no, Roll no and date of birh. 5) The candidates may now click the link “Proceed to Online Option Registration” . They will now be requested to login again using their new password created in last step. 6) Candidates should now login again using their register no, roll no, date of birth and the password they created in the previous step . Soon they will be navigated to the option registration window. 7) Maintaining the confidentiality of the password and other login details shall be the responsibility of the candidate alone. If the candidate forgets his password he/she should report before the Director, IRAA along with the parent or guardian for personal identity verification by producing a valid photo identity proof. 8) After successful login the candidate can add his/her options from the box on the left side of the screen by clicking the “ADD” button. 9) The selected options will be displayed in the box on the right side in the order of preference. The order of preference can be changed by clicking the button “Move Up” or “Move Down” . 10) The selected options can be removed by clicking the “Remove” button. 11) After choosing all the required options click the “Submit” button. Then a preview of the options registered by the candidate will be displayed. 12) If the candidate is satisfied with the options exercised by him/her as displayed in the preview he/she may click the “Confirm” button to finalize his/her options. Otherwise the candidate can navigate back to the previous screen for making any changes by clicking the “Back” button. 13) Now the candidate can take print out of the options confirmed by him for his/her reference. 14) The candidates should logout and close the session after taking printout. 15) All disputes related to CAT-2010 option registration/counseling/ admission shall be subject to the jurisdiction of courts at Kochi only.